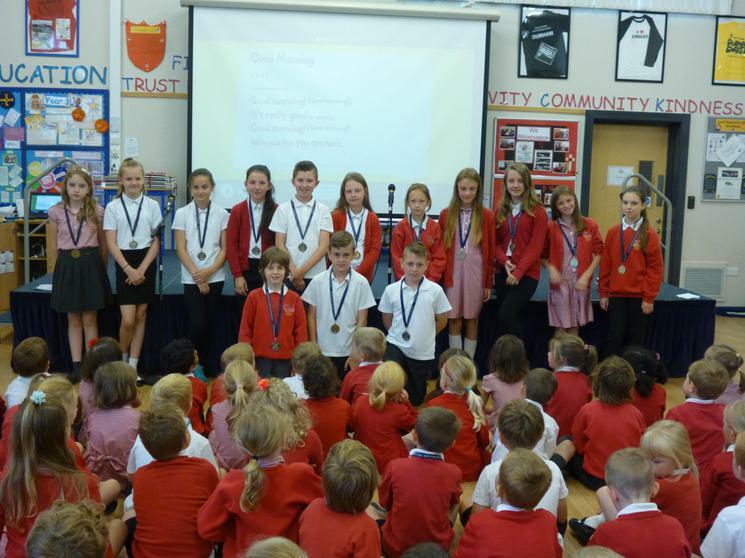 Children receive a fantastic Marathon Challenge Medal after completing 186 laps of our Finchale Fitness route. 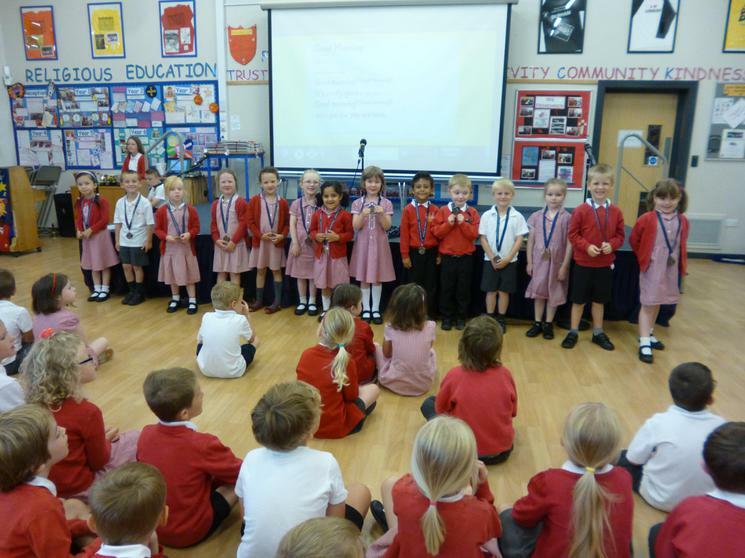 Mrs Morton congratulated the children in the pictures who achieved their medals. 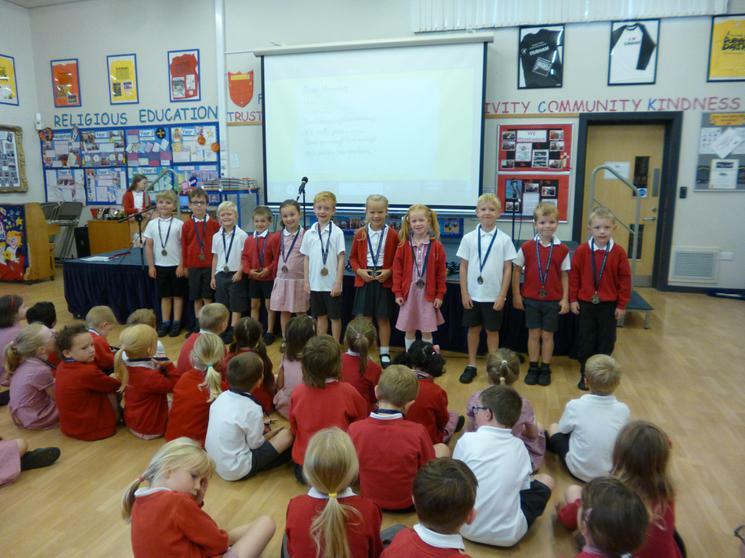 Well done to: Tom Reception Class, James Y1, Daniel Y2, Bobbi Y3, William Y4, Luke Y5, Robert Y6. 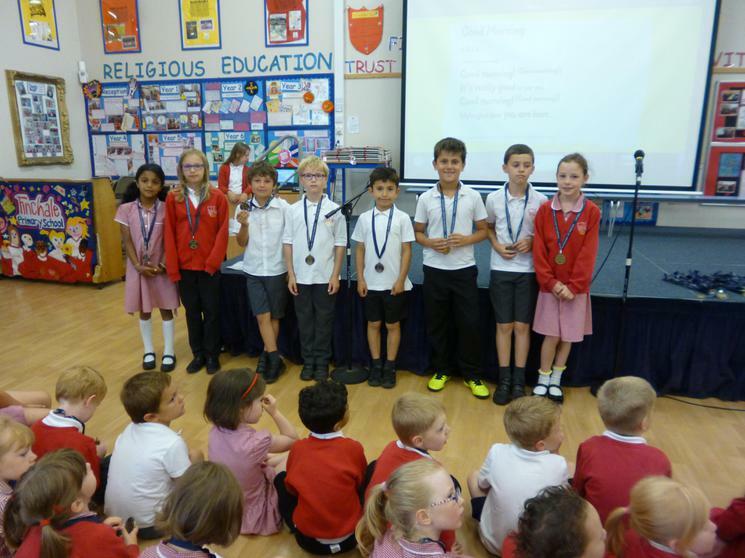 Well done to: Reuben Reception Class, Sophie Y1, Rebecca Y2, Ethan Y3, R Y4, Fergus Y5 and Diara Y6. To get our pupils active we have introduced "Finchale Fitness" and this will replace afternoon break. 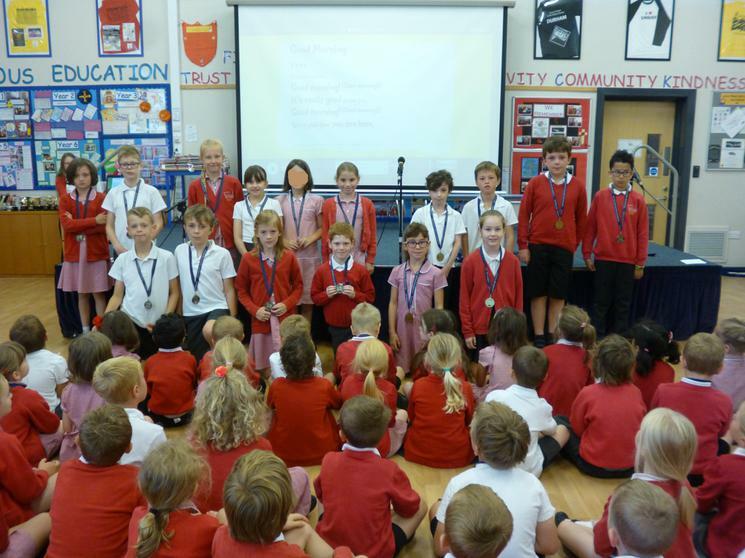 Pupils will be physically active for 10 minutes around a special predetermined route. Our children will work at their own level of fitness but will be rewarded for showing progress. 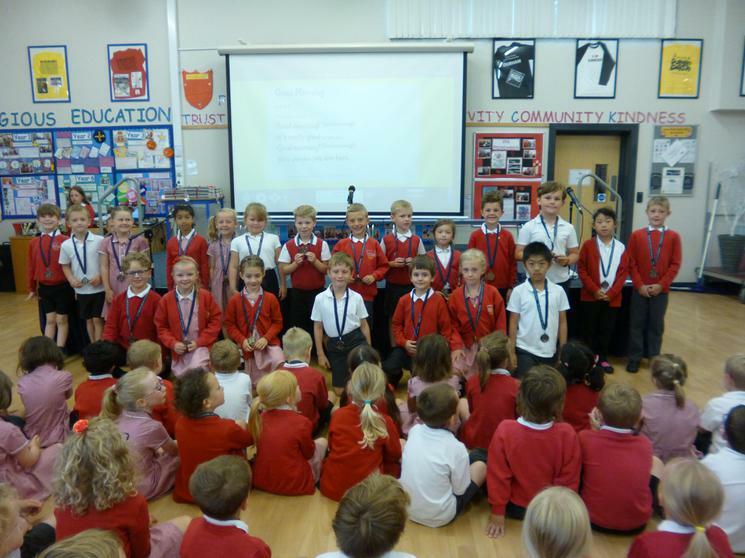 We will encourage our children to continue for the whole 10 minutes at their pace with the idea of increasing the distance travelled over a period of time. This firstly supports the health and well being of our children and also follows advice that children should be doing 60 minutes of vigorous physical activity per day. 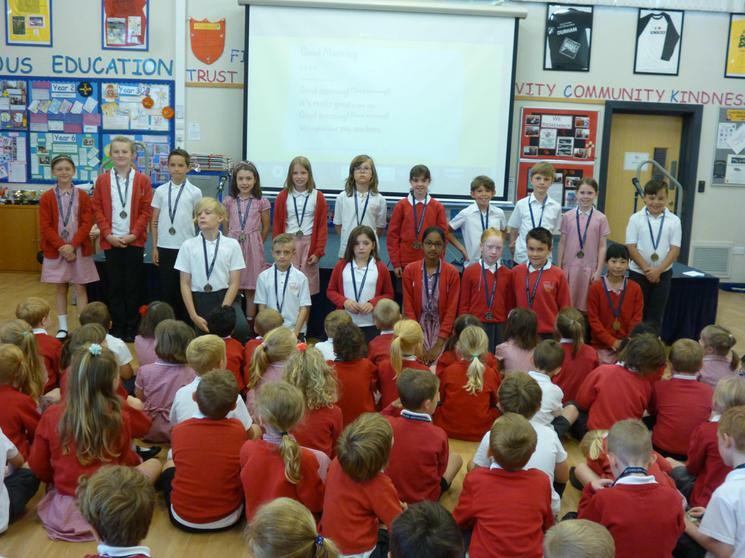 As a school we have been asked by Government to provide 30 minutes of this activity each day.